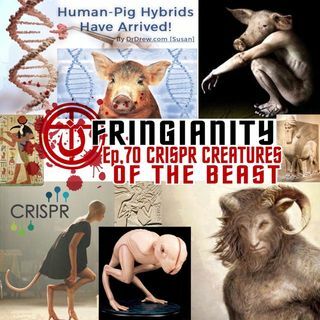 In this episode I take a deep look into human animal DNA editing and how it has a very real chance at creating the new body's for demons to possess. As it was in the days of Noah so shell it be in the return of Christ. Science has become a religion that deceives its followers into hell. This is my analysis of the return of the nephilim and how the world is deceived by the beast & his teachings. If you like the show please leave a review on iTunes or google. It helps to make the show ... See More more popular and easier to find on the search results. Also please check out the LEO RUTLEDGE YouTube channel for new fringianity underground podcast episodes and subscribe Thanks for taking the time to listen and God bless.